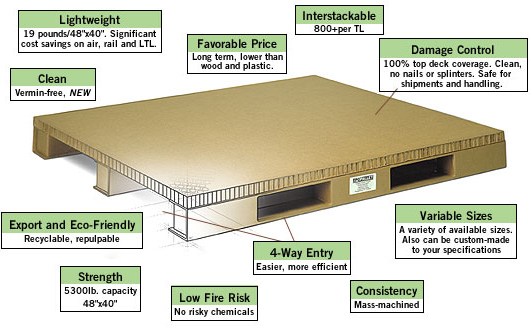 EcoDuro engineered paper pallets are ideal for many diverse applications. problems associated with export pallets. See our Export page for details. alone display, EcoDuro products are perfect for both shipping and display of your product.